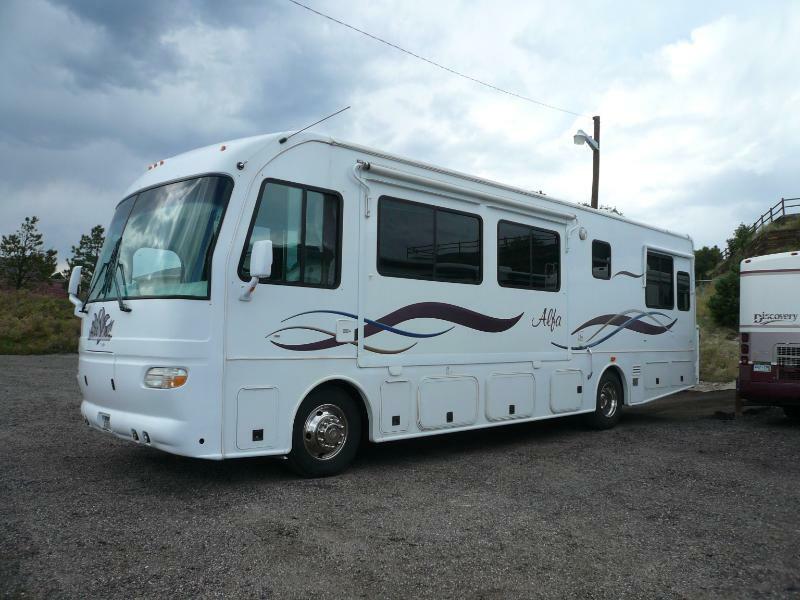 This motorhome sleeps 4 people, is 2.83 feet long, and is a Class A Motor Home. The engine is a caterpeller Deisel 300hp, and has an Automatic transmission. We purchased this RV brand new for our family to enjoy and we absolutely love it! It has very low miles, about 45,000, and is in terrific shape. She drives smooth and quite with the economical diesel engine in the rear. There is lots of room with the 2 slide-outs pushed out. This style motor coach has extra tall ceilings and extra tall windows which means no hunching over and a much bigger more comfortable feel inside! Were looking for clean responsible people to share our beautiful Motor Coach with.